This document contains one of the most important pieces of evidence surviving from the Roman Empire. It is recorded in a papyrus roll coming from the region of Apollonopolites Heptakomias (southern Egypt) and, later, acquired by the University of Gießen (Germany) at the beginning of the 20th century. Since its early publication as P.Giss. 40 it was clear that the papyrus contained three different texts related to the emperor Caracalla (Marcus Aurelius Severus Antoninus Pius). In the first one (1st column, lines 7-8), the sequence “I give (δίδωμι/didômi) to everyone across the word (οἰκουμένη/oikoumenê) the citizenship of the Romans (πολιτεία Ῥωμαίων/politeia Rômaiôn)” could be read with a considerable degree of certainty, so it sparked a prolific series of debates on the nature and circumstances of this message of universal enfranchisement. The aim of this commentary is not to review the historiography of these scholarly discussions which, already by the mid-20th century, provided enough material to write two extensive bibliographical articles (see Sasse 1962, 1963, “Literaturübersicht”). Instead, I seek to analyse the text on the basis of four basic (and recurrent) issues originating from a document that both improves and complicates our understanding of the so-called Constitutio Antoniniana. The first problem becomes immediately obvious after reading and trying to understand the text included in this edition. The first column of the papyrus roll on which the document was written is extremely fragmentary. From line 12, the letters are almost completely lost and the beginning also contains numerous crucial lacunae. This has led scholars to suggest various readings after the publication of P.Giss. 40, from which that by Wolff, Die Constitutio, must be highlighted. Such restorations can improve the understanding of the text but should be taken with caution considering that this is a unique document for which formulaic parallels are not available. Accordingly, our edition follows a less creative trend of interpretation which in the last years has rather been focused on certain elements directly readable from the material surviving (see Kuhlmann, Die Giessener;Ando, Citizenship). In the first line, the most clearly recognisable letters form the word λέγει/legei (“he says”), which was normally used by Roman authorities to proclaim edicts – either imperial or provincial (see Galatia and Ephesus Edicts). Preceding the verb, the name Antoninus survives and this allows us to safely restore the titulature of Caracalla which is also fully attested at the beginning of the other two edicts recorded in the roll. The series of titles, however, is not complete; neither Caracalla’s triumphal titles are stated nor his terms of office as consul or tribune of the people. This absence is the origin of the second problem: what is the exact date of the document? The text does not provide any internal chronological mark beyond the reference to Caracalla’s sole reign that started at the end of 211 CE. 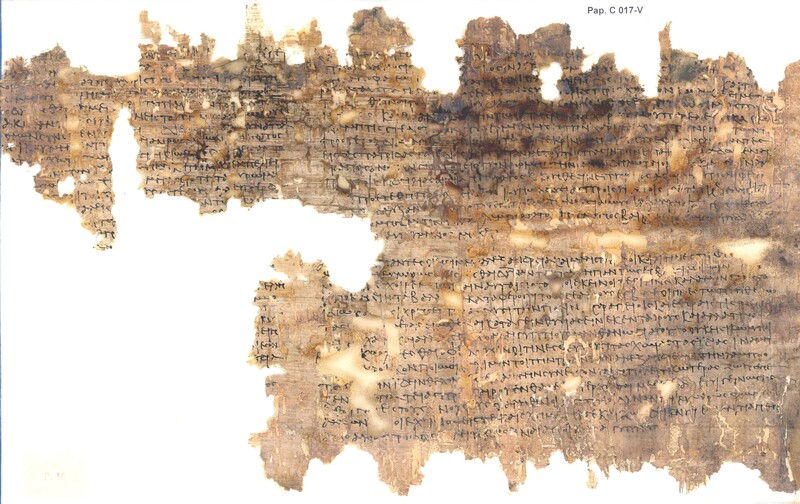 The fact that the papyrus roll contains a collection of documents is not very helpful because the last edict needs to be placed only after 215 when Caracalla visited Egypt. This time span of 4 years is significant because it leaves slightly open the date of the promulgation of the Constitutio Antoniniana, the modern name bestowed on Caracalla’s universal grant of Roman citizenship (see D’Ors, “Estudios”). Despite the early position of Millar (“The Date”), this question can partly be solved by virtue of dated inscriptions in different places of the Empire showing new Roman citizens with the name Aurelius/a (see below) as early as 212/3 CE. This early date is important because it could be connected to the shady events leading to the accession of Caracalla to the imperial throne after obliterating his brother Geta. If that was indeed the case, the reference to a personal salvation (συνετήρησαν/synetêrêsan) made in line 4 can be better understood. Caracalla presents this edict as a possible expression of gratitude (εὐχαριστήσαιμι/eucharistêsaimi) to the immortal gods (ἀθάνατοι θεοί/athanatoi theoi), whom he most likely believed responsible for his preservation. This motivation is absent in the ancient sources and, in fact, the only surviving note comes from Cassius Dio (77 (78) 9.5), who affirms that money and damaged tax revenues were the actual reasons. In the edict of Caracalla, by contrast, this positive presentation is even more evident through the reference to the μεγαλειότης/megaleiotês (“magnificence”) which he wished to repay adequately (ἱκανόν/ikanon). His act, nonetheless, was not solely personal but also involved human beings (ἄνθρωποι/anthrôpoi) that he considered his own (ἐμοί/emoi, l.6). The third issue of the papyrus is concerned with the extent to which Caracalla’s edict applied. As has been translated above, the emperor affirmed that all the people across the world were to be granted Roman citizenship. This information complies with the note of the contemporary jurist Ulpian (Digest 1.5.17), and, later, Augustine (De civitate Dei 5.17), who hinted at the universal nature of the Constitutio Antoniniana. The only exception (χωρίς/chôris) according to the edict were the dediticii singled out in line 9. This is a Latin legal loanword that was traditionally used for those who took arms against Rome but surrendered and were conquered. The problem is that we do not know how many people may have qualified as such before 212 CE, or what exactly was their status (see e.g. Benario, “The Dediticii”; Sherwin-White, Roman Citizenship, 382-383). Likewise, Caracalla refers to the oikoumenê as the geographical framework of his edict, but the delimitation of this “inhabited world” is not straightforward. Consequently, we cannot know with certitude how truly universal was this grant of citizenship in which victory (νίκη/nikê) may have played a part according to line 10. From here, the text in the papyrus almost completely vanishes, although we can see that the emperor probably presented his action not only as an expression of personal gratitude to the gods but also as a sign of magnificence – again the word μεγαλειότης/megaleiotês) –, most likely of the Roman people (l. 11).